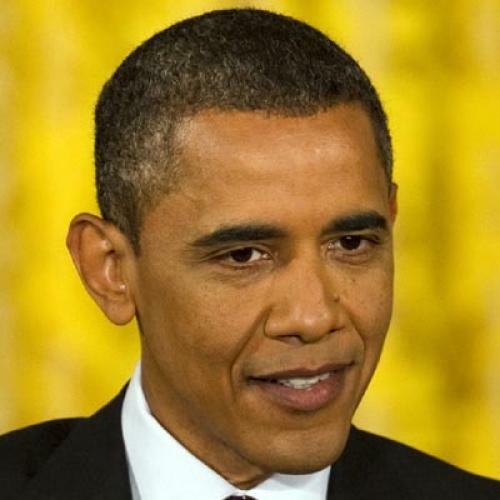 In his press conference on Wednesday, President Obama insisted that revenues obtained from closing loopholes in the tax code must be part of a balanced deficit reduction package. Good for him, because real tax reform—that is, base broadening—tends to promote both efficiency and equity. Not so good, however, was Obama’s poll-tested list of unpopular provisions—from corporate jet deductions to oil production subsidies to special breaks for hedge fund managers—which gave unwary listeners the impression that the current patchwork quilt of deductions, exemptions, and credits only benefits fat cats. In truth, if we want to raise real revenues by reducing tax expenditures, we’ll have to tackle deductions that affect a majority of Americans. And if we’re going to address the very real problem of expenditures made through the tax code rather than through appropriations, we might as well get serious. Every year, in a part of the President’s Budget labeled “Analytical Perspectives,” the Office of Management and Budget publishes a comprehensive list of tax expenditures, along with one-year and five-year cost estimates for each. 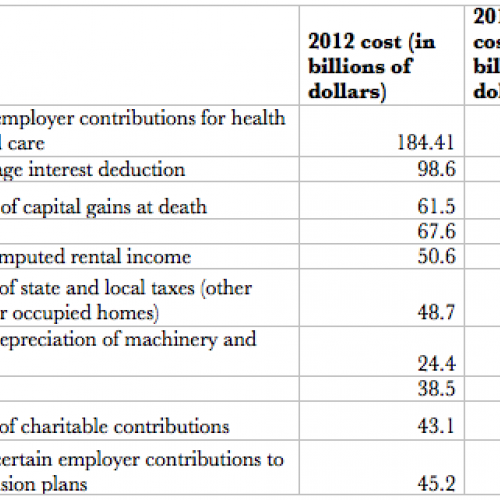 The FY 2012 list includes 173 items totaling $1.2 trillion for the fiscal year beginning October 1, 2011. This, friends, is where the money is—not in tax breaks for corporate jets. (Indeed, all but one of the ten largest items is embedded in the personal income tax code, not in corporate taxes.) So by all means, let’s get rid of the nickel-and-dime stuff that contributes nothing to growth or well-being and offends decent moral sensibilities. But after we’re done with that, we’ll have to go after deductions and exclusions from which the majority of Americans benefit, albeit unequally. There are three main ways of doing this. One is to reduce the total value of the tax expenditures each taxpayer enjoys—either by limiting the rate at which deductions are claimed or by reducing, by some percentage, the total value of the claimed deductions. Another is to go after specific items on the list. A third is to replace the regressive features of tax expenditures, many of which disproportionately benefit upper-income taxpayers, with credits that do the reverse. This is a long-overdue conversation, one that our country hasn’t really conducted since the 1986 tax reform. It’s a conversation that can help restore fiscal stability, promote growth, and promote fairness. But let’s not pretend that it will be quick or easy. While populism makes for great sound bites, it does nothing to educate the people, and it usually leads to lousy policy.